Realtek USB 2.0/3.0 Card Reader RTS51XX, Driver version 10.0.17134.31243 WHQL. - New Realtek RTS51XX is a high performance USB 2.0/3.0 compliant card-reader that supports SD/MMC cards, MS/MSPRO cards, xD-PictureTM cards, and Smart Card/SIM cards. 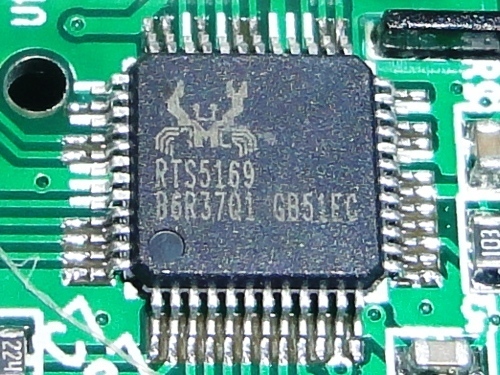 The RTS51XX integrates a USB 2.0 transceiver, MCU, DC-DC regulators, and memory card access unit into a single chip. Supported SD/MMC series memory cards are: Secure Digital TM (SD), Multi-Media CardTM (MMC), MicroSD, SDHC, MiniSD, RS-MMC, Mobile-MMC, and MMC-Micro.